Announcing the show at the TCA presentation, The Ray will be cast with a voice actor who can also play the character in live-action, much as Vixen actress Megalyn Echikunwoke moved from voicing her character to appearing live. The Ray will be gay in his series, making him the first gay lead superhero on TV. While The CW executives didn't say which of the four characters that have been called "The Ray" will be represented here, the inclusion of "Freedom Fighters" makes it seem like it'll be Happy Terril or Stan Silver. They of course could also take aspects from any of the four versions to create their own version. The Ray as a member of the Freedom Fighters goes back to the Golden Age of comics, with the character debuting in 1940. Along with the All-Star Squadron (and later the Justice Society of America), the Freedom Fighters were superheroes that fought in World War II. The Ray can typically manipulate, and become, light and energy, firing energy blasts, moving at superspeeds, and more. Sounds like a great fit alongside The Flash, or alongside the JSA in Legends of Tomorrow, for sure. 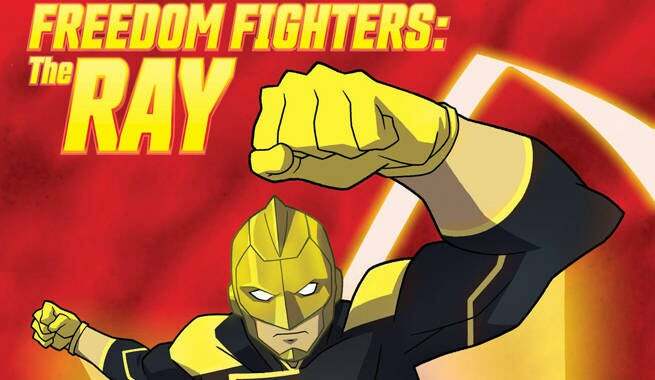 Freedom Fighters: The Ray hits CW Seed next year, and casting is underway. Other members of the Freedom Fighters are likely to appear in the series, being executive produced by Greg Berlanti and Marc Guggenheim.